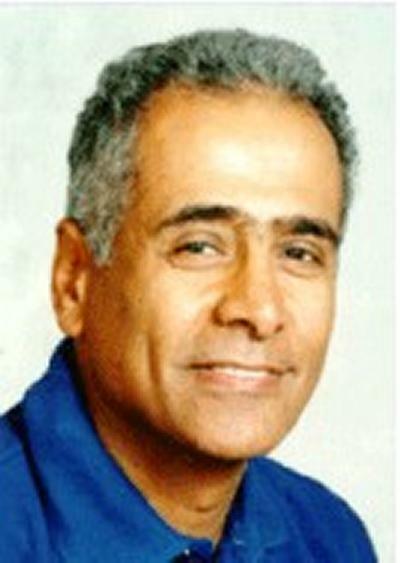 Professor AbuBakr Bahaj (FICE, FIET, FRSA, MInstP, CPhys) is a Professor of Sustainable Energy at the University of Southampton. Professor AbuBakr Bahaj leads the 55-strong Energy and Climate Change Division and the Sustainable Energy Research Group at the University of Southampton, where he completed his PhD, progressing from a researcher to a Personal Chair in Sustainable Energy. For more than 25 years, Professor Bahaj has pioneered sustainable energy research and established the energy theme within the University. 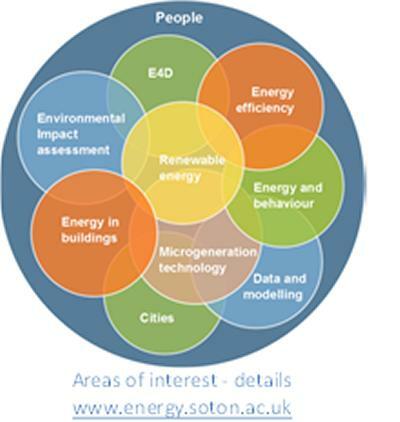 His major research programmes can be found at www.energy.soton.ac.uk. These include Cities, Energy and Infrastructure, Data and Modelling, Energy and Behaviour, Energy and Buildings, Energy for Development, Environmental Impacts, Microgeneration Technologies and Renewable Energy (Solar Photovoltaics, Offshore Wind and Marine Energy). Professor Bahaj’s work has resulted in over 300 articles, published in academic refereed journals and conference series of international standing. He founded the International Journal of Marine Energy (IJOME) for which he is the Editor-in-Chief. Prof Bahaj also holds visiting professorships at the Xi’an University of Architecture and Technology (XUAT), Xi’an, China, (2017 - ), the Ångström Laboratory and Engineering University of Uppsala, Sweden (2011-15) and the King Salaman ben Abdulaziz Visiting Chair for Energy Research, at King Abdulaziz University (KAU), Jeddah, Saudi Arabia (2014 - ). He is a Fellow of the Institution of Civil Engineers (FICE), Institution of Engineering Technologies (FIET) and the Royal Academy of Arts (FRSA). In 2012, Prof Bahaj was appointed Chief Scientific Advisor to Southampton City Council—believed to be the first such appointment in the UK and in 2014; he was named by the UK’s Science Council as one of the UK’s 100 leading practising scientists. Prof Bahaj is a major contributor to the energy debate at local, national and EU levels as well as through the organisation of and participation at major international conferences and meetings. He has been invited to deliver keynote addresses in conferences throughout Europe, America and the Far East. In 2007, he was invited to give the RSA President's Lecture, chaired by HRH Prince Phillip. He was Conference Chair of EWTEC 2011 in Southampton, and is a member of the British Standards Institute (BSI) Committee GEL/82 on PV Energy Systems. To address a lack of education and training in the areas of energy and climate change, he developed two revolutionary MSc programmes -MSc Energy Resources & Climate Change and MSc Energy Environment & Buildings, covering energy generation and distribution, energy resources and climate change and energy in the built environment (Energy Masters website). 1. Marine energy: Research in wave and tidal energy encompass development of new knowledge which contributes to our understanding of the waves and flows in the sea (resource assessment and kinetic energy potential), the conversion of the resource by appropriate technologies such horizontal axis turbines and fundamental understanding of specific wave energy devices. 2. Solar photovoltaics (PV): Research covers fundamental understanding of solar cells, system designs, building integrated PV, solar refrigeration, PV minigrid approaches to power supply in rural communities in Africa and elsewhere (see item 4, below). A. Link building refurbishments and occupier comfort to achieve reduced demand (Urban energy studies). Use of urban energy generation technologies such as solar photovoltaic (PV), microwind turbines, micro combined heat and power (µCHP) and ground source heat pumps to address electricity and heat generation in cities and elsewhere. Large scale refurbishment of buildings, data and modelling, energy efficiency measures and application of combine heat and power (CHP) technologies in communities. B. This work builds on an EPSRC grant awarded through on Sustainable Urban Environments programme to develop tools for industry that created appropriate weather data sets as input to building simulation software. These tools are now the industry standard for generating such tools (Building performance under changing climate). C. In infrastructure a key challenge involves taking into account the ways in which infrastructure systems in one sector increasingly rely on other infrastructure systems in other sectors in order to operate. These interdependencies mean failures in one system can cause follow-on failures in other systems. The work has a bias to toward energy and city infrastructure and their resilience. This work is supported through programmes addressing the fast development within China (and the concomitant increase in carbon emissions) under Eco networks, the carbon emission reduction work being undertaken within UK cities funded by EPSRC and City Councils, Liveable Cities and the International Centre for Infrastructure Futures (ICIF). 4. Energy for Development: Current works in Africa promoting and implementing electrification projects for impoverished rural villages without power sources, establishing and addressing villagers’ needs, investigating impacts on rural poverty and improving the health and wellbeing of the community. This works is providing power to businesses and to around 3000 villagers in Kenya and influencing the works of global institutions with mandates in this area. Other countries being considered are Uganda, Mozambique and Zambia (www.energyfordevelopment.net). Batten, W. M. J., Bahaj, A. S., Molland, S., Blunden, F., & Chaplin, J. R. (2006). 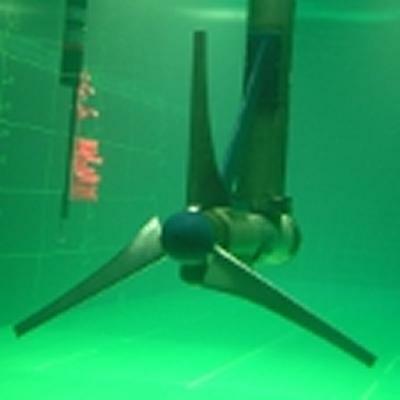 Yawed performance of horizontal axis turbines in marine currents. International solar energy society, 151-156. Watson, J. H. P., & Bahaj, A. S. (1983). High gradient magnetic separation for mineral processing. Mining Journal, 301(7), 63. Rassi, D., Bahaj, A. S., & Watson, J. H. P. (Accepted/In press). Particle capture by the wake of a single wire HGMS at moderate Reynolds number. Digests of Intermag, AA-01. Bahaj, A. S. (2003). The potential for electricity generation using marine currents energy converters. Year Book of Renewable Energy. Gregory, J. A., Bahaj, A. S., & Stainton, R. S. (1994). Stimulating market success for solar: a global perspective. In Year Book Of Renewable Energy (pp. 222-227). Taylor Francis (Earthscan). Bahaj, A. S., Campbell, S. A., Walsh, F. C., & Stott, J. F. D. (1992). The importance of environmental factors in microbially-influenced corrosion: Part II. Magnetic field effects. In C. A. C. Sequeira, & A. K. Tiller (Eds. ), Microbial Corrosion: (EFC 8) (pp. 228-236). Maney. Blackmore, T., & Bahaj, A. S. (2014). Turbulence and its effects on the thrust and wake of a porous disc rotor simulator. Paper presented at Grand Renewable Energy 2014, Japan. Blackmore, T., Batten, W. M. J., & Bahaj, A. S. (2013). Turbulence generation and its effect in LES approximations of tidal turbines. Paper presented at 10th European Wave and Tidal Energy Conference, Denmark. Johnstone, C. M., McCombes, T., Bahaj, A. S., Myers, L. E., Holmes, B., Koefoed, J. P., & Bittencourt, C. (2011). EquiMar: development of best practices for the engineering performance appraisal of wave and tidal energy convertors. 9th European Wave and Tidal Energy Conference, United Kingdom. Galloway, P. W., Myers, L. E., & Bahaj, A. S. (2011). Experimental and numerical results of rotor power and thrust of a tidal turbine operating at yaw and in waves. In Proceedings of the World Renewable Energy Congress (pp. 2246-2253). Linköping, SE: Linköping University. Myers, L. E., Keogh, B., & Bahaj, A. S. (2011). Experimental investigation of inter-array wake properties in early tidal turbine arrays. In Oceans 11 (pp. 1-8). Piscataway, United States: Institute of Electrical and Electronics Engineers. Daly, T., Myers, L. E., & Bahaj, A. S. (2011). Experimental investigation of the effects of the presence and operation of tidal turbine arrays in a split tidal channel. In Proceedings of the World Renewable Energy Congress (pp. 2262-2269). Linköping, SE: Linköping University. Myers, L. E., Keogh, B., & Bahaj, A. S. (2011). Layout optimisation of 1st-generation tidal energy arrays. Paper presented at 9th European Wave and Tidal Energy Conference, United Kingdom. Daly, T., Myers, L. E., & Bahaj, A. S. (2011). Numerical analysis of the acceleration and wake effects resulting from changes in tidal turbine array position in a channel. Paper presented at 9th European Wave and Tidal Energy Conference, United Kingdom. Giles, J. W., Myers, L. E., Bahaj, A. S., & Shelmerdine, R. (2011). The downstream wake response of marine current energy converters operating in shallow tidal flows. In Proceedings of the World Renewable Energy Congress (pp. 2270-2277). Linköping, SE: Linköping University. Blackmore, T., Batten, W. M. J., Harrison, M. E., & Bahaj, A. S. (2011). The sensitivity of actuator-disc RANS simulations to turbulence length scale assumptions. Paper presented at 9th European Wave and Tidal Energy Conference, United Kingdom. Leybourne, M. T., Batten, W. M. J., Bahaj, A. S., O'Nians, J., & Minns, N. (2010). A parametric experimental study of the 2D performance of a aucted wave energy converters. Paper presented at Eighth European Wave and Tidal Energy Conference, Sweden. Myers, L. E., & Bahaj, A. S. (2010). Design of 1st-generation marine current energy converter arrays. In Proceedings of the World Renewable Energy Congress XI and Exhibition Reading, GB: World Renewable Energy Congress Network. Daly, T., Myers, L. E., & Bahaj, A. S. (2010). Experimental analysis of the local flow effects around single row tidal turbine arrays. Paper presented at Third International Conference and Exhibition on Ocean Energy, Spain. Myers, L., Bahaj, A. S., Retzler, C., Ricci, P., & Dhedin, J-F. (2010). Inter-device spacing issues within wave and tidal energy converter arrays. Paper presented at Third International Conference and Exhibition on Ocean Energy, Spain. Galloway, P. W., Myers, L. E., & Bahaj, A. S. (2010). Studies of a scale tidal turbine in close proximity to waves. Paper presented at Third International Conference and Exhibition on Ocean Energy, Spain. Harrison, M. E., Batten, W. M. J., Myers, L. E., & Bahaj, A. S. (2009). A comparison between CFD simulations and experiments for predicting the far wake of horizontal axis tidal turbines. Paper presented at 8th European Wave and Tidal Energy Conference, . Giles, J., Myers, L., Bahaj, A., & O'Nians, J. (2009). An experimental study to assess the potential benefits of foundation based flow acceleration structures for marine current energy converters. 592-600. Paper presented at 8th European Wave and Tidal Energy Conference (EWTEC 2009), Sweden. Myers, L., & Bahaj, A. S. (2009). Near wake properties of horizontal axis marine current turbines. Paper presented at 8th European Wave and Tidal Energy Conference, . Batten, W. M. J., & Bahaj, A. S. (2008). Comparing energy yields from fixed and yawing horizontal axis marine current turbines in the English channel. Paper presented at 27th International Conference on Offshore Mechanics and Arctic Engineering, Estoril, Portugal. Harrison, M. E., Batten, W. M. J., Blunden, L. S., Myers, L. E., & Bahaj, A. S. (2008). Comparisons of a large tidal turbine array using the boundary layer and field wake interaction models. Paper presented at Second International Conference on Ocean Energy (ICOE 2008), . Myers, L. E., Bahaj, A. S., & Germain, G. (2008). Flow boundary interaction effects for marine current energy conversion devices. Paper presented at 10th World Renewable Energy Congress 2008, . Bahaj, A. S., & Blunden, L. S. (2008). Flow through large arrays of tidal energy converters: Is there an analogy with depth limited flow through vegetation?. CD. Paper presented at World Renewable Energy Congress (WREC-X), United Kingdom. Leybourne, T., Batten, W. M. J., & Bahaj, A. S. (2008). Laboratory scale model tests of a ducted wave energy converter. Paper presented at World Renewable Energy Congress (WREC-X) 2008, . Myers, L. E., & Bahaj, A. S. (2008). Scale reproduction of the flow field for tidal energy converters. Paper presented at 10th World Renewable Energy Congress, Glasgow, July 2008, . Myers, L. E., & Bahaj, A. S. (2008). The effect of boundary proximity upon the wake structure of horizontal axis marine current turbines. Paper presented at 27th International Conference on Offshore Mechanics and Arctic Engineering, Estoril, Portugal. Myers, L. E., Bahaj, A. S., Rawlinson-Smith, R., & Thomson, M. (2008). The effects of boundary proximity upon the wake structure of horizontal axis marine current turbines. Paper presented at 27th International Conference on Offshore Mechanics and Artic Engineering, . Batten, W. M. J., & Bahaj, A. S. (2007). An assessment of growth scenarios and implications for ocean energy industries in Europe. Paper presented at Seventh European Wave and Tidal Energy Conference, Portugal. Bahaj, A. S., Myers, L. E., & Thompson, G. (2007). Characterising the wake of horizontal axis marine current turbines. Paper presented at Seventh European Wave and Tidal Energy Conference, Portugal. Bahaj, A. S., Germain, G., Huxley-reynard, C., & Roberts, P. (2007). Facilities for marine current energy converter characterization. 7th European Wave and Tidal energy Conference, Portugal. Batten, W. M. J., & Bahaj, A. S. (2006). CFD simulation of a small farm of horizontal axis marine current turbines. In A. A. M. Sayigh (Ed. ), World Renewable Energy Congress 2006 Elsevier Science. Blunden, L., & Bahaj, A. S. (2006). Comparison of different approaches to tidal stream energy resource assessment. 139-144. Paper presented at Renewable Energy in Maritime Island Climates, . Batten, W. M. J., Bahaj, A. S., & Blunden, L. (2006). Development of a methodology for CFD simulations of farms of marine current turbines. In Renewable energy in maritime island climates : REMIC 2 (pp. 157-162). The Solar Energy Society. Bahaj, A. S., & Batten, W. M. J. (2006). Experimental verifications of numerical predictions for the hydrodynamic performance of horizonatl axis marine current turbines. Paper presented at World Renewable Energy Congress (WREC-IX), Florence, Italy. Myers, L. E., & Bahaj, A. S. (2006). Flow effects in marine current turbine arrays. In World Renewable Energy Congress 2006 Elsevier Science. Bahaj, A. S. (2006). Simulation of extraction of tidal energy within a 2-D coastal finite element numerical model. Paper presented at Proceedings World Renewable Energy Congress (WREC-IX), Florence, 19-25 August 2006, . Blunden, L., & Bahaj, A. S. (2005). A high resolution model of the English Channel for tidal stream resource assessment. In Proceedings of the 6th European Wave & Tidal Energy Conference (pp. 51-58). EWTEC. Batten, W. M. J., Bahaj, A. S., Molland, A. F., & Chaplin, J. R. (2005). Experimentally validated numerical method for the hydrodynamic design of horizontal axis tidal turbines. In Proceedings of the 6th European Wave & Tidal Energy Conference (pp. 39-46). Glasgow City, GB: European Wave and Tidal Energy Conference Series. Bahaj, A. S. (2005). Solar photovoltaic energy in housing – impact on energy demand and fuel poverty. Paper presented at World Renewable Energy Regional Congress, . Bahaj, A. S. (2005). The potential of harnessing electrical energy from marine currents. In M. Imbabi, & P. Mitchell (Eds. ), Proceedings of the World Renewable Energy Congress 2005 (pp. 257-264.). Elsevier Science. Myers, L. E., & Bahaj, A. S. (2005). Wake studies of a 1/30th scale horizontal axis marine current turbine. In M. Imbabi, & P. Mitchell (Eds. ), Proceedings of the World Renewable Energy Congress 2005 (pp. 1205-1210). Elsevier Science. Jones, K., Clements-Croome, D. J., Bahaj, A. S., & Gann, D. M. (2004). Achieving a sustainable urban environment: working with existing buildings. 103-110. Paper presented at CIB W70, Human Elements in facilities management – Understanding the needs of our customers, . Myers, L. E., & Bahaj, A. S. (2004). Basic operational parameters of a horizontal axis marine current turbine. In Proceedings of the 8th World Renewable Energy Congress (WREC VIII) Elsevier Science. Batten, W. M. J., Bahaj, A. S., Molland, A. F., & Chaplin, J. R. (2004). Hydrodynamics of marine current turbines. In Proceedings of the 8th World Renewable Energy Congress (WREC VIII) Elsevier Science. Blunden, L. S., & Bahaj, A. S. (2004). Initial evaluation of tidal stream energy resources at Portland Bill, UK. Paper presented at World Renewable Energy Congress (WREC-VIII), United States. Bahaj, A. S., & Zhu, L. (2004). Photovolataic village power system in developing countries: A discussion of sustainability issues. Paper presented at Proceedings of the 8th World Renewable Energy Congress (WREC VIII), . Bahaj, A. S., Gann, D. M., Clements-Croome, D. J., & Jones, K. (2003). Improving the sustainability of existing buildings. 666-671. Paper presented at International Conference on Construction in the 21st Century (CITC-II), . Bahaj, A. S., James, P. A. B., & McBride, J. W. (2002). Alternative approaches to achieving PV connector reliability: a comparative study of accelerated lifetime testing. In Proceedings of PV in Europe. From PV Technology to Energy Solutions Conference and Exhibition (pp. 621-624). Brussels, Belgium: European Commission, Directorate-General for Energy and Transport. Bahaj, A. S., & Myers, L. E. (2002). Fundamentals applicable to the utilisation of tidal current turbines for energy production. Paper presented at World Renewable Energy Congress (WREC-VII), . Bahaj, A. S. (2002). Photovoltaic and hybrid village power system: a discussion of sustainability issues. In Proceedings of PV in Europe - From PV Technology to Energy Solutions (pp. 1195-1202). Florence, IT: Florence Renewable Energies. Bahaj, A. S., & Myers, L. E. (2001). Cavitation prediction in operating marine current turbines. In Proceedings of Renewable Energy in Maritime Island Climates (pp. 222-229). UK: The Solar Energy Society. Bahaj, A. S. (1998). The design and monitoring of the first autonomous solar powered refrigerated trailer. In Proceedings of the 2nd World Conference and Exhibition on Photovoltaic Solar Energy Conversion (pp. 3145-3148). Munchen, Germany: WIP-Renewable Energies. Bahaj, A. S. (1998). The world's first autonomous solar powered refrigerated trailer. World Renewable Energy Congress (WREC V), Italy. Bahaj, A. S., Matthews, Z., Darrah, H., & Shamshan, M. H. (1997). Demographic impacts of solar villages in Yemen. 958-961. Paper presented at 14th European Photovoltaic Solar Energy Conference, . Bahaj, A. S. (1997). System monitoring for the first autonomous solar refrigerated trailer. In Bus and Truck Technology: Autotech '97 (pp. 25-31). (IMechE Seminar Publication). London, GB: The Institution of Mechanical Engineers. Bahaj, A. S., & Sahooly, A. M. (1995). A chaotic world bank PV initiative in the Yemen. In W. Freiesleben (Ed. ), Thirteenth European Photovoltaic Solar Energy Conference: Proceedings of the International Conference, held at Nice, France 23-27 October, 1995 (pp. 1071-1073). London: H.S. Stephens. Bahaj, A. S., Currie, A., Jones, S. D. R., & Scott, K. (1995). SUNSTROKE: a PC software simulation for photovoltaic system. Paper presented at 13th European PV Solar Energy Conference, France. Ward, S. C., & Bahaj, A. S. (1995). The design and integration of photovoltaic roof tiles for industrial, social and domestic buildings. In W. Freiesleben (Ed. ), Thirteenth European Photovoltaic Solar Energy Conference: proceedings of the International Conference, held at Nice, France 23-27 October, 1995 (pp. 2145-2148). London, GB: Stephens. Bahaj, A. S., & Foote, J. S. (1994). Photovoltaic cladding: a design approach for panels and curtain walling PV cladding for existing buildings. Paper presented at 12th European Photovoltaic Solar Energy Conference, Netherlands. Bahaj, A. S., & Mohammed, A. S. (1994). 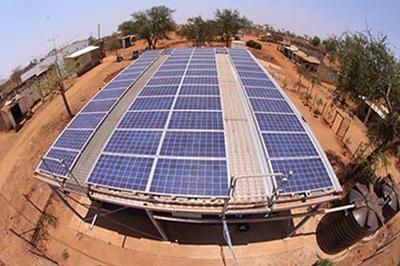 Sizing of a photovoltaic pumping system and its storage capacity to meet crop water requirements in remote areas. Paper presented at 12th European Photovoltaic Solar Energy Conference, Netherlands. Bahaj, A. S., & Ward, S. C. (1994). The 'Solatile': a fully adjustable and integrated photovoltaic roof tile. In Twelfth European Photovoltaic Solar Energy Conference: Proceedings of the International Conference, Held at Amsterdam, The Netherlands 11-15 April 1994 (pp. 1097-1099). H.S.Stephens & Associates. Bahaj, A. S. (1993). Social and economic assessment of PV applications in the Yemen. Paper presented at 11th European Photovoltaic Solar Energy Conference and Exhibition, Switzerland. Bahaj, A. S., Beech, IB., & Campbell, SA. (1992). The influence of high magnetic fields on corrosion of iron and steel by sulphate reducing bacteria. Paper presented at UK Corrosion Conference, United Kingdom. Bahaj, A. S., Ghadi, S. M., Al-Ashwal, A., & Shamsan, M. H. (1991). Status of solar energy conversion and applications in Yemen. Paper presented at 10th European Photovoltaic Solar Energy Conference, Portugal. Bahaj, A. S., Ellwood, D. C., & Watson, J. H. P. (1990). A biomagnetic separation process for the removal of heavy metal ions from solutions. Paper presented at Low Temperature Engineering and Cryogenic Conference (LTEC90), United Kingdom. Bahaj, A. S., Igra, R. M., & Scurlock, R. G. (1988). The effect of magnetic field strength and orientation on the sensitivity of Southampton diode thermometer in the temperature range 4.2 - 300K. In C. A. Bailey (Ed. ), Proceedings of the Twelfth International Cryogenic Engineering Conference: Southampton, UK, 12-15 July 1988 : ICEC 12 (pp. 384-388). Oxford: Butterworth. Bahaj, A. S., Watson, S. J., Boorman, C. H., Avist, D., & Watson, J. H. P. (1987). The effect of induced turbulence on magnetic capture on a single wire at moderate Reynolds number. Paper presented at Intermag - International Magnetics Conference, Japan. Bahaj, A. S., Watson, J. H. P., Watson, S. J., & Boorman, C. H. (1986). Evaluation of the conditions of rear capture in single wire HGMS. Paper presented at Intermag Digest, . Watson, J. H. P., Boorman, C. H., & Bahaj, A. S. (1986). Theoretical calculations and experimental results pertaining to a permanently magnetised filter. Paper presented at Intermag Digest, . Bahaj, A. S., Watson, J. H. P., Boorman, C. H., & Watson, S. J. (1985). A superconducting HGMS separator with a current carrying matrix. Paper presented at 15th Intrnternational Mineral Processing Congress, France. Bahaj, A. S., & Bailey, A. G. (1979). Dielectrophoresis of small particles. 154-157. Paper presented at IEEE Industry Applications Society for Presentation Annual Meeting, United States.